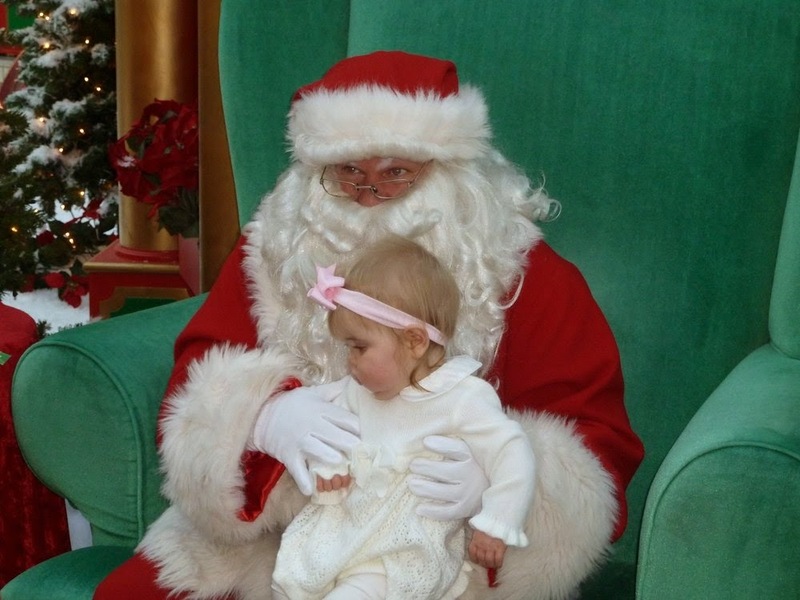 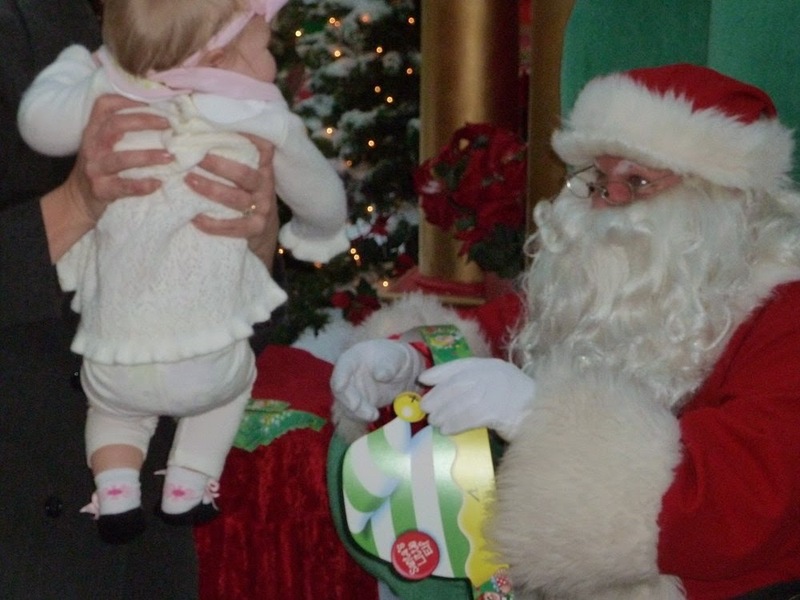 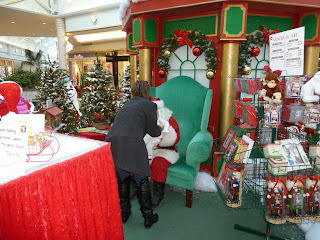 Brian and I took Annabelle to see Santa on Tuesday afternoon. 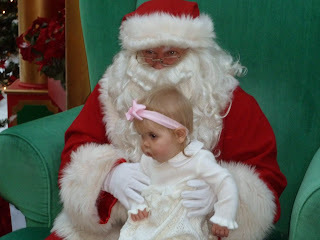 She had sat on Santa's lap in Erie over Thanksgiving and did well so we thought this time would be the same. I put her on his lap and she was just staring at me without a smile. 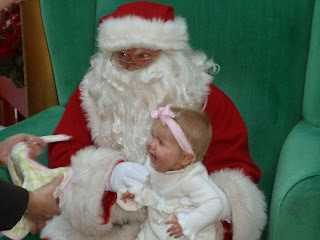 Then he spoke to her, she slowly looked up out of the corner of her eye at him, jumped and the crying started. 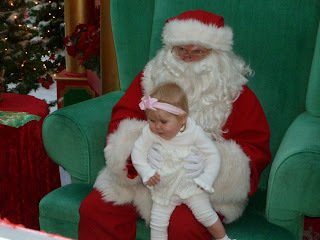 She was so upset nothing would calm her down. 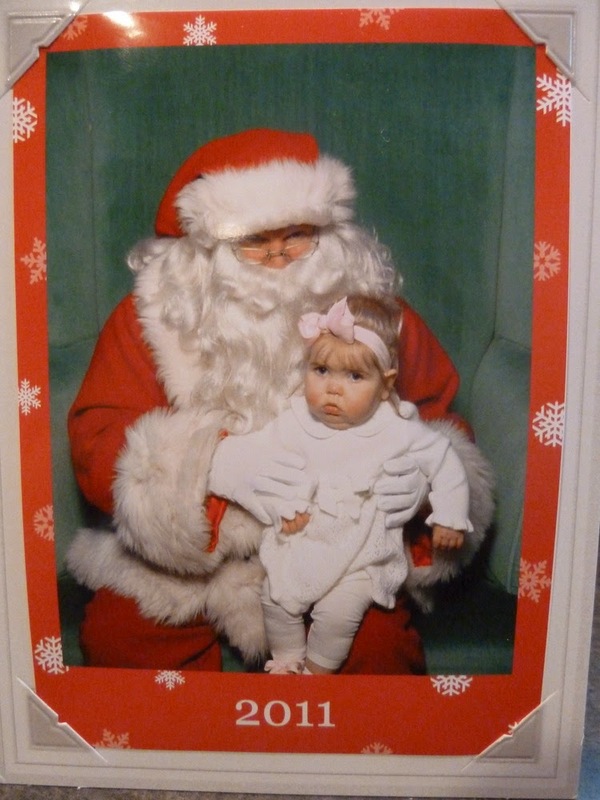 The photographer did end up getting one picture before she stared crying and Brian snapped a few but neither got that look she gave Santa when she looked up at him, one I will never forget. 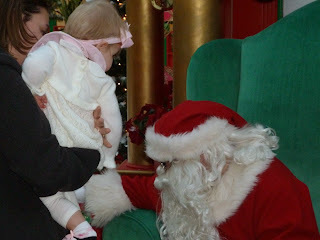 Because there was no line we did try again but this time she stared crying when we walked toward him. 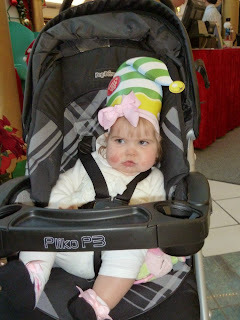 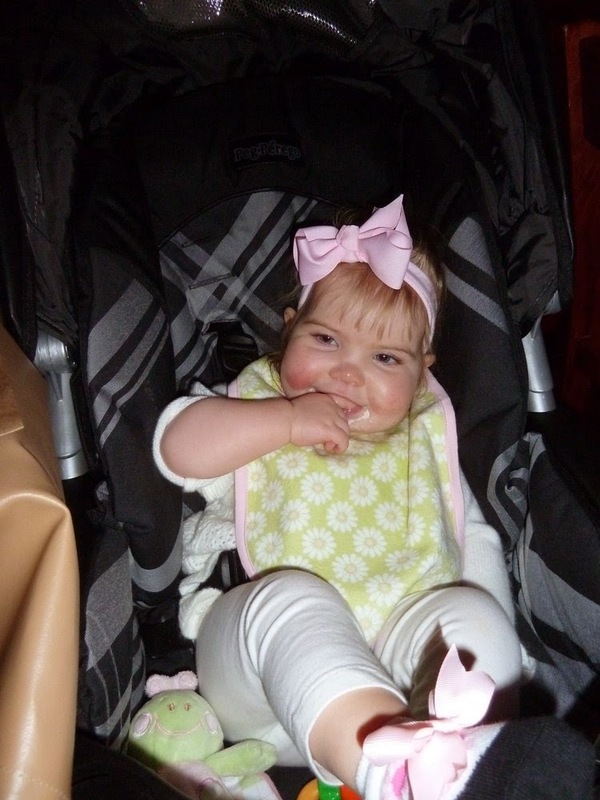 After we put her back in her stroller she was fine, no more tears. 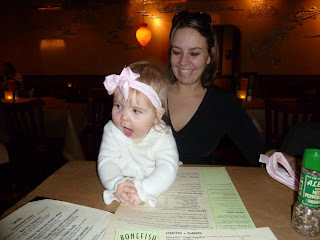 That night I was uploading the pictures to my PC and looking through them with Annabelle on my lap. 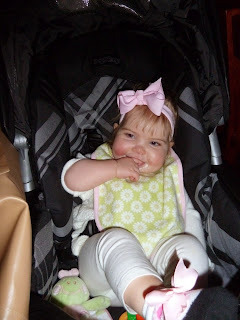 She loves to look at the pictures on my PC and gets all excited when she sees herself. 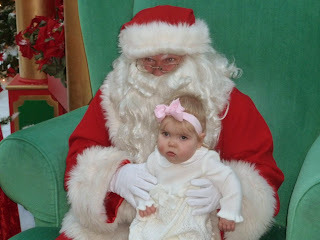 As soon as we got to the Santa pictures she started to cry again! We went past those pictures to the ones from dinner and she stopped. 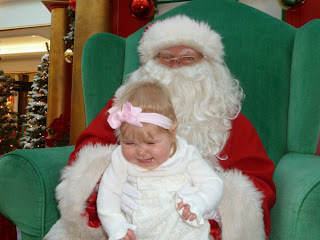 When I went back to Santa she started to cry. Hopefully Santa will be a bigger hit next year!